Losing weight has been one of the most difficult struggles both men and women have to go through in their lives. For some people, diet and workout work well, but they use fat loss or weight loss supplements to help them with the overall process. If you intend to lose weight and drink weight loss pills throughout the process, it is very important that you are aware on what the pros and cons are. You can’t just choose a random supplement out there and decide from their packaging alone. 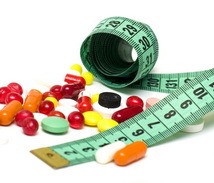 In general, weight loss supplements have both positive and negative effects. However, you have to remember that each product is different from each other. Results may also vary from one person to another, so it is still best that you observe and be aware on what your body goes through while taking these supplements. Just to give you a general idea on what to expect when taking fat loss supplements, here are the advantages and disadvantages that you can experience by taking these. 2. When partnered with diet and regular exercise, these fat loss supplements can help you achieve your weight loss goal faster. While some people can’t find time to exercise and can’t prepare the right foods to eat, taking fat loss pills can still bring results – but it can be slower as compared to those people eating the right foods with regular physical activity. 3. You don’t have to worry about addiction and tolerance. These types of drugs do not contain any addictive content which would result in withdrawal symptoms once they have been stopped. Compulsive and drug-seeking behavior isn’t observed when you take these, which plays an important role when taking supplements or drugs of any kind. 4. May people who gain weight eat their heart out. It’s either they’re seeking for comfort and revert to eating to have their needs addressed. Some other people, on the other hand, get bored and turn to eating to get rid of boredom. Some fat loss supplements suppress one’s appetite and prevent unnecessary binge eating. 5. With the right fat loss supplement, you can have the energy that you need while helping you get rid of the unnecessary weight that you have. 1. Some diet pills cost a lot of money. You have to set a specific amount of budget on a monthly basis to maintain your figure. 2. Most people experience sudden weight gain as soon as they’ve stopped using these pills. To help maintain the weight, these should be taken at least monthly, with 3 months time frame in between to keep that healthy figure and achieved weight loss goal. 3. There are some diet pills which contain stimulants. If you have insomnia, it is not recommended that you take these because it will make it more difficult for you to sleep. If you don’t have sleep disorders yet, you may experience sleep problems, nervousness, restlessness, high blood pressure and irregular heart rate. All of these are common effects of stimulants towards the body. While some people don’t experience one or all of these, it is always important that you are completely healthy and no cardiovascular disorders prior to proceeding using these pills for your weight loss goals. 4. A number of fat loss supplements may cause hyperactivity (due to stimulants), paranoia and euphoria. These may not be experienced by everyone taking these supplements, but there are people who’ve had bad experiences with these, especially if the supplements are not FDA approved. This is why it is very important that you only choose and buy weight loss products that have been approved by the Food and Drug Administration. 5. Many diet pills require exercise before effect takes place. If you’re looking for a one-step miracle, there are some products that can help you achieve that, but it costs a lot of money and may have more side effects over the others. If you’re overweight or just looking for ways to maintain your current weight, it is always important that you seek your doctor’s advice before using any product. See your doctor today and request assistance in choosing which fat loss supplement works best for you and your current condition. « MI40X Program Review – Does Ben Pakulski’s System Work?